When it comes to Easter traditions, most folks think of dressing in their finest pastel colored clothing for Easter Sunday church service followed by gigantic family meals. But let’s not forget about the famous Easter egg. We hard-boil and dye ‘em, not fry ‘em. We hide ‘em for kids to find ‘em. Yep, that just happened, but stay with me here. Here in Louisiana, we have a fun game you can play with those funny little dyed eggs after the Easter egg hunt. It’s called “egg paqueing!” Pronounced pocking. Egg paqueing is a game that’s been played with family and friends for generations on Easter Sunday in Louisiana. It’s a true Cajun tradition. For those who have never heard of such a thing, it’s done by taking the end of a hard-boiled egg and knocking it against your opponent’s egg. The trick is to knock your opponent’s egg just hard enough to crack it, without cracking your own. The person whose egg remains intact is the winner. If you’re playing for keeps, the winner gets to take the less fortunate person’s egg. You could even make a fun family tournament out of the game, squaring off against relatives to see who can collect the most eggs! There’s some debate about the origins of where the name “paqueing” comes from. Some say it’s the pock sound that the eggs make when they’re knocked together. Others argue that it’s derived from Pâques, the French word for Easter. Whatever the origin may be, it’s a lot of fun! 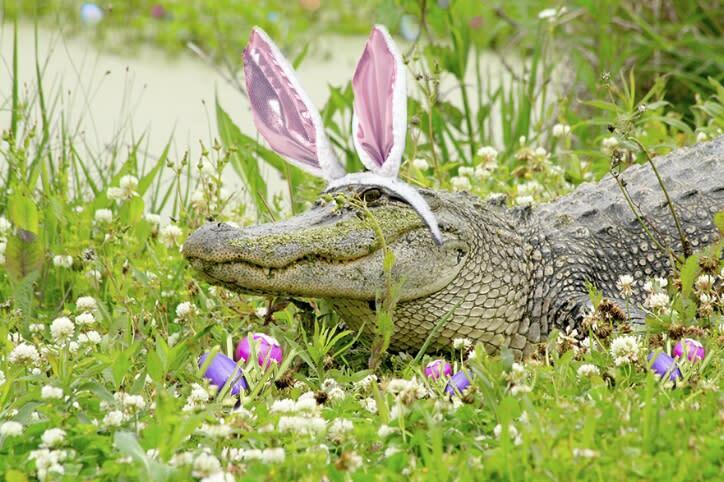 So, give the unique Cajun holiday tradition a try this coming Easter Sunday. Happy paqueing!